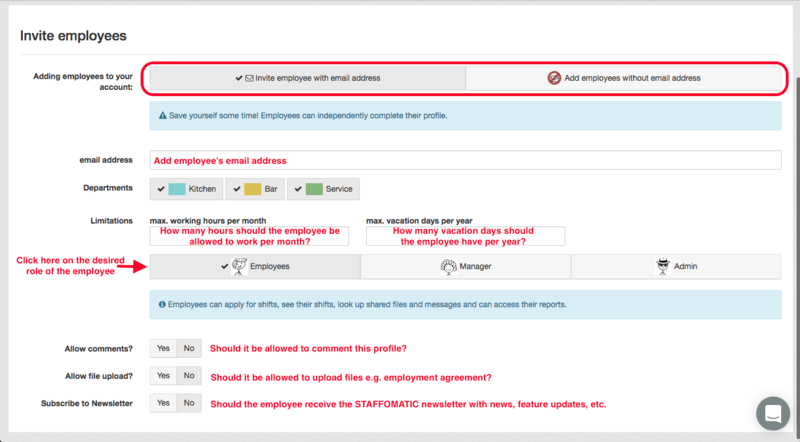 How do I invite my employees to STAFFOMATIC? You can invite employees under the menu item 'employees'. They will be informed via email. They will then be able to set a password with which they can log into STAFFOMATIC to view their shifts. 2. Click on 'invite employee'. 3. 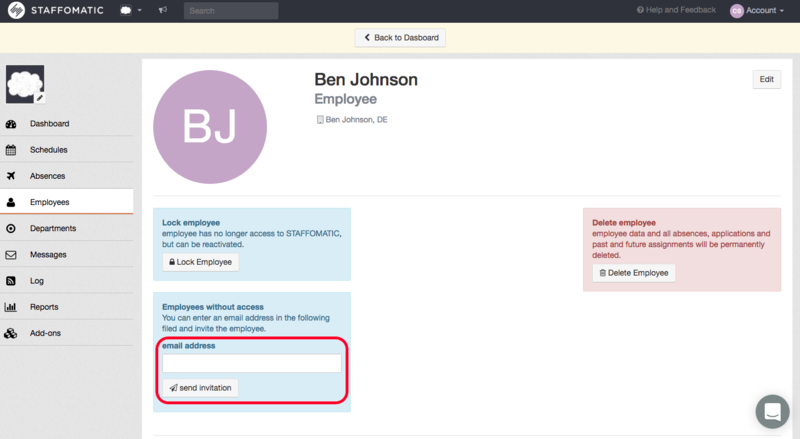 Now you can create an employee with our without an email address, depending on whether or not they should have access to the account. The preselection is 'invite employee with email address'. In order to invite employees to your account there has to be an email address.